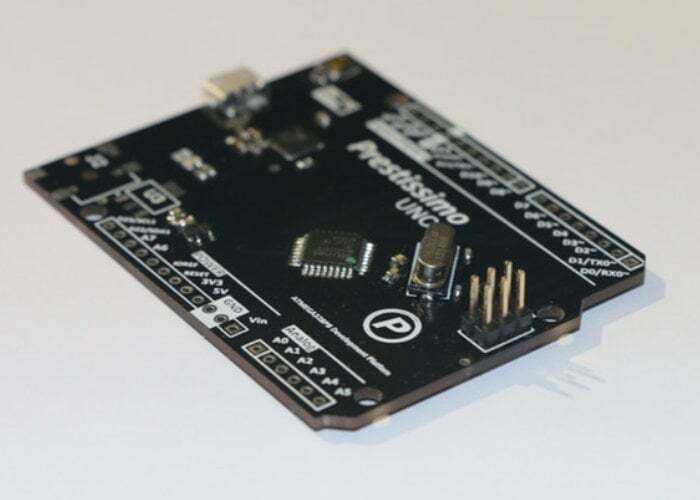 A new fully featured Arduino development board has been created called the Prestissimo Uno+ which is now available to back via Kickstarter with earlybird pledges available from just $20, AUS$28 or roughly £16. The Prestissimo Uno+ has been created to provide a platform for rapid electronics development and prototyping that brings the simplicity and ease off the hugely popular Arduino Uno with extra functionality. – More PWM channels: For Motors, Robotics, Actuators and more! – More ADC channels: Monitor more sensors! For more details and full specifications of the Arduino Prestissimo Uno+ development board jump over to the official Kickstarter crowdfunding campaign page by following the link below.